I'm not much for detoxing. Sticking to a diet seems to have the reverse affect on me.......meaning I barely last 48 hours before falling off the bandwagon. So I've learned not to make empty promises to myself........ like I'll go off junk food for 2 weeks because I'll inevitably get even more obsessed with the idea of eating them. Being put on hypertension meds for life has a sobering effect. I had a take a long and hard look at my diet. I've learned that certain types of vegetables and fruits can help lower blood pressure. For instance, celery, pineapple, potatoes (especially when combined with some sort of dairy), beetroot and banana (which I absolutely detest with a passion). After a few juicing mad friends preached the benefits of drinking veggie/fruit juice, I went out to buy a super duper juicer that cost an arm and a leg. After the initial furore over juicing anything that resembled a veggie or fruit, the machine was stashed within the depths of my kitchen. Fast forward a year........I unearthed my expensive toy and started juicing once or twice a week just to get that extra whack of much needed vitamins, especially after overdosing on patisseries for the past 2 months. Currently, I'm trying kale, cucumber, celery and pineapple. I'm not sure I can bear juicing capsicum or rocket leaves. Has anyone been juicing lately? What's your favorite concoction? Have you noticed any difference, health/skin wise? Love love juicing and my favourite is carrot, pear,apple and ginger . I tried it at the gym , it's my reward for getting through the exercise, and saw them making it .I bought the exact same juicer and throw in about 10 carrots, 2 apples, 2 pears and a large chunk of ginger . You said you hated banana, but have you tried freezing the banana before sticking it in the juicer or blender? Doesn't taste so bananaey that way. I do that and add yogurt and berries and just use a blender. I don't juice. I make smoothies so that I benefit from all of the fiber that's just thrown away when juicing. I've made green smoothies most every day for the past five or six years, and I feel terrible after a few days without them. They don't taste good (at best, they're bland), but I don't drink them for the pleasure, just for the nutrition -- so it's almost easier to think of them as a medicine than a treat or something that SHOULD be tasty. Anyway. The two unchanging elements are 1/2 c. frozen blueberries (healthiest fruit out there, I think) and two handfuls of greens (usually baby spinach, but sometimes mixed salad greens, sometimes mixed "power" greens, sometimes arugula if I'm desperate -- but never kale because I'll never be that desperate). The 1 cup of liquid is usually the variation. I've done unsweetened organic almond milk, carrot juice, "green machine" green juice, and currently organic skim milk. And because my LDL cholesterol is too high, I've recently added 2 tbsp. of oat bran. As I said, it's not delicious. I let the whole mess sort of come to room temperature after I whir it in the blender because it's easier to drink it quickly when it's not cold. I take my supplements at the same time; some supplements upset my stomach if there's nothing else in it, so this "elixir" takes care of that. We need nearly 30 g of fiber per day. With juicing, you're throwing away half the nutrition. Get a blender, girl. Thank you SO much for your tips. I've got a blender which I've used to make smoothies before. I'm not sure I can handle oat bran at the moment but i'll give the rest a whirl. I am addicted to NutriBullet green smoothies, they keep me full for much longer than just juice and I like the fact that there is no any leftovers to discard as everything is extracted (even zinc and magnesium from watermelon seeds). My favourite green smoothie is spinach, celery, 1/2 banana, black berries, goji berries, chia seeds, flax seeds and a spoon of almond butter. Yumm!!! I've never thought of using goji berries other than in traditional chinese soups. I'll go and check out the pinterest board. 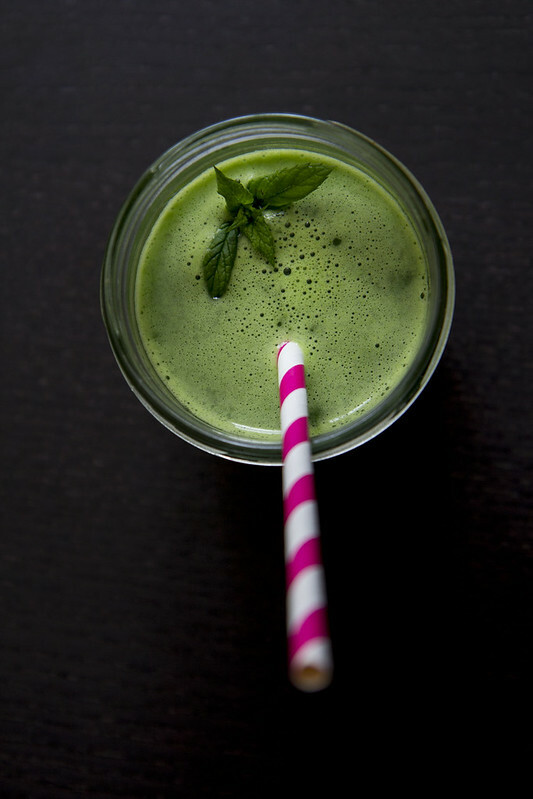 I'm with the above--I make green smoothies, as opposed to juice--and have one every morning for breakfast. They typically include a lot of baby kale/spinach, some berries, a banana, almond milk, sometimes protein powder (a very tiny bit, otherwise it tastes odd) and occasionally pineapple/peach/mango. I have um, sluggish digestion, and these absolutely, positively have made a difference for me. Unfortunately I do not see any skin benefits, but oh well. I definitely would not use rocket/arugula, either, that sounds horrible :p Best saved for salads! 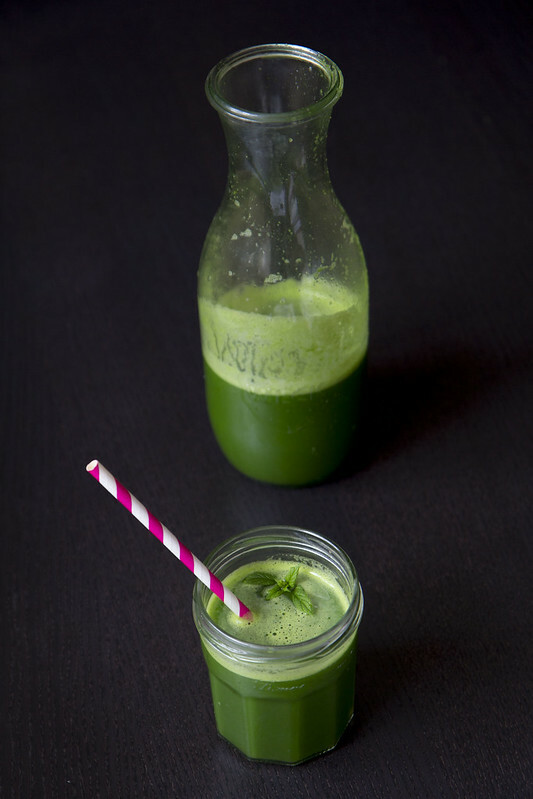 I teach yoga and my hubbie tai-chi, so we are BIG fans of juicing for all round health purposes and tend to use the Jason Vale recipes, or I find lots of inspiration from Insta and Pinterest. We also use a teaspoon or two of what I refer to as the 'green sludge' (!) a green superfood powder. I must admit I am a bit of a wimp when it comes to flavour and I am much more of a fruit than a veg juicer though!